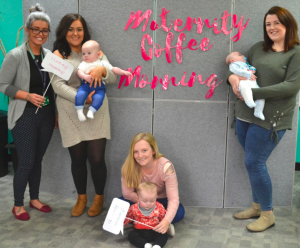 Cwmbran-based claims management company We Fight Any Claim have introduced maternity coffee mornings as a way for new mothers to talk about the ups and downs of being a new parent and help them adjust to being back at work. We Fight Any Claim will be hosting maternity coffee mornings throughout the year to catch up with our new mums and mums to be. To read more about the inaugural event CLICK HERE.